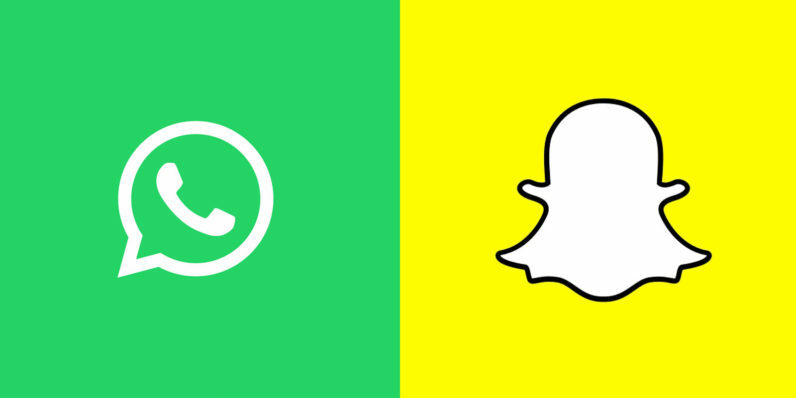 WhatsApp and Facebook aren’t done copying Snapchat. According to a report by Mashable, Facebook-owned messaging platform WhatsApp is testing image-sharing features akin to those of Snapchat, or *cough* Instagram. The project, called ‘Status,’ was unearthed in recent beta releases of both the iOS and Android version of WhatsApp. Status occupies a space in the tab menu between Chats and Calls and eventually you’ll be able to add your own captions and hand-written messages or doodles — much like Snapchat. After losing millennials to platforms like Snapchat and Instagram for the last several years, Facebook has gone on the offensive. First, the company purchased Instagram for a cool $1 billion before turning its attention to Snapchat. Snapchat CEO Evan Spiegel, however, turned down Facebook’s $3 billion cash offer for the platform and opted to instead continue building his empire. Snapchat today is worth an estimated $25 billion, with the third-largest social network overall and the largest presence amongst millennials and teens. It’s also headed for an IPO. Facebook, on the other hand, is undergoing a bit of an identity crisis. It’s losing younger users by the truckload and shifting to a platform that’s mainly sharing of non-user-generated content. That is to say, people aren’t posting personal updates nearly as often — even with cool new tools like Facebook Live and 360-degree video. In fact, as we pointed out yesterday, Facebook Live is really becoming a bit of a shitstorm. So, what’s a platform to do? Steal, obviously. Besides, in the tech world it’s never really stealing if you improve upon the original product. With Instagram’s ‘Stories’ that was arguably the case. With WhatsApp, however, it’s becoming clear that there are sour grapes to be picked after Facebook’s failed acquisition of Snapchat. If you can’t acquire them, beat them at their own game, right?